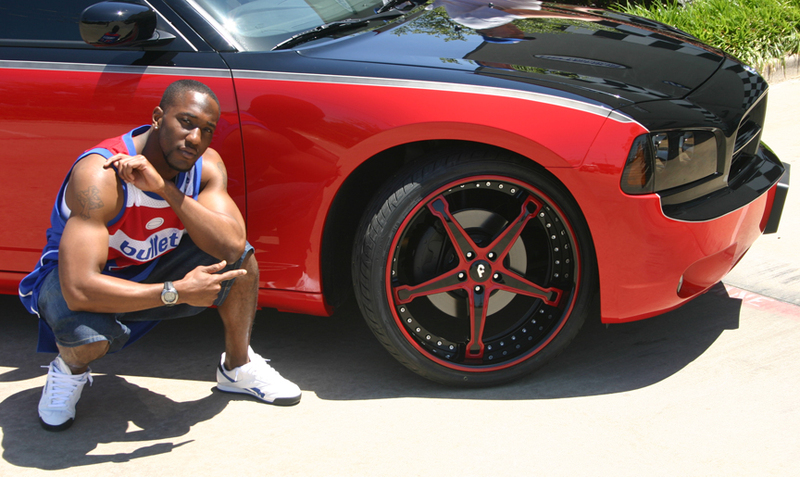 Here is Jacque Reeves of the Houston Texans squatting infront of his 22″ Forgiato Martellato wheels on his Dodge Charger SRT8. The car is painted 3 tone (red/black/silver). The wheels also have heavy paint work on them, black lip/red pinstripe/red trim/chrome bolts. A little too much going on here with all the paint.